Ecstasy and Depression: Is There a Link? Ecstasy is a psychoactive drug whose mechanisms of action are similar to that of stimulant medications. 1 By impacting the levels of serotonin within the brain, ecstasy can lead to intense sensations of euphoria and general well-being. 2 However, repeated use of the drug may lead to permanent changes in the brain's production and use of serotonin, which is believed to increase the risk for developing depression. The evidence for a direct link between ecstasy use and depression, however, is not very strong at this time (see below section "Ecstasy and Depression: Is There a Link?" for details). 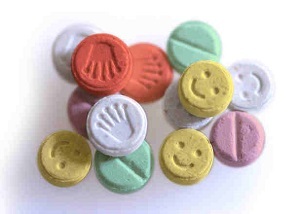 Ecstasy use continues to grow in popularity. In fact, ecstasy is associated with a group of drugs known as "club drugs," which are substances that are commonly used by groups of people while out at night clubs, house parties, festivals, or raves in order to enhance their experience. 4 Other common club drugs include methamphetamine, d-lysergic acid diethylamide (i.e., LSD), gamma-hydroxybutyrate (i.e., GHB), and ketamine. Over the last several decades, rates of this casual style of drug use has been on the rise. 5 Interestingly, findings suggest that while ecstasy use has generally risen over the past decade, perceptions of risk associated with using this drug are declining. 6, 7 According to results from the 2014 National Survey on Drug Use and Health, which was conducted by the National Institute on Drug Abuse (NIDA), an estimated 12% of college-aged individuals (i.e., between the ages of 18 and 25 years) were reported to have tried ecstasy at some point during their lives. This rate seems to drop with advancing age, as approximately 6.40% of adults over the age of 25 were reported to have used ecstasy. In terms of the more vulnerable population of high school students, 1.4% of eight graders, 3.7% of tenth graders, and 5.6% of high school seniors were reported to have tried ecstasy at some point during their lifetime. 8 In terms of other statistics on ecstasy use, males are reported to be slightly more likely to have tried the drug than their female counterparts. Overall sensations of well-being and inner peace. Sensation of improved communication skills. Increased feelings of empathy and connection/closeness with others. Mild visual and auditory hallucinations (e.g., enhanced colors and sound). Perception of enhanced sensation or sexuality. Kidney or liver damage or failure. Studies have consistently shown that using ecstasy can lead to permanent changes in the brain's production and use of serotonin. 2 ,17 Given that serotonin plays a critical role in the regulation of mood, it is possible that using ecstasy can lead to an increased risk for developing symptoms of depression. 15 Interestingly, findings from studies examining the link between ecstasy and depression have been mixed. In addition, factors like impulsivity, sensation seeking, and executive dysfunction may better explain the depressive and psychological symptoms seen in ecstasy users, rather than attributing these symptoms to ecstasy, alone. 18, 20 Also, depression itself may lead to using ecstasy, instead of the other way around. 20Further work is necessary in order to determine ecstasy's potential contribution, if any, to increased risk for depressive symptoms. As it stands, there is weak evidence that ecstasy use leads to depression in the long-term. Instead, it appears that other factors might contribute to such symptoms. Nevertheless, ecstasy can potentially disrupt neurocognitive systems and lead to difficulties in memory, sleep, pain, and other cognitive functions. 2, 14 It is important to get help right away if you or someone you love is suffering from addiction to ecstasy. Parrot AC. MDMA, serotonergic neurotoxicity, and the diverse functional deficits of recreational 'Ecstasy' users. Neurosci Biobehav Rev 2013;37(8):1466-1484. Katz DP, Bhattacharya D, Bhattacharya S, Deruiter J, Clark CR, Suppiramaniam V, Dhanasekaran M. Synthetic cathinones: "A khat and mouse game." Toxicol Lett 2014;229(2):349-356. Leung KS, Cottler LB. 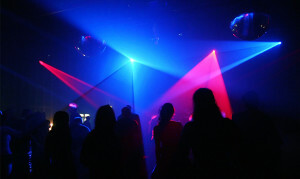 Ecstasy and other club drugs: A review of recent epidemiologic studies. Curr Opin Psychiatry 2008;21(3):234-241. Guerreiro DF, Carmo AL, da Silva JA, Navarro R, G?is C. Club Drugs. Acta Med Port 2011;24(5):739-756. Johnston L, O'Malley PM, Bachman JG, Schulenberg JE. (2013) Monitoring the Future National Survey Results on Drug Use, 1975-2011. Institute for Social Research, the University of Michigan: Rockville, Michigan. Johnston LD, O'Malley PM, Bachman JG, Schulenberg JE. (2006) Monitoring the Future National Results on Adolescent Drug Use: Overview of Key Findings. 2006: National Institute on Drug Abuse, NIH Publication # 07-6202, p. 71. Substance Abuse and Mental Health Services Administration. Results from the 2006 National Survey on Drug Use and Health: National Findings. Rockville, MD: Office of Applied Studies, Substance Abuse and Mental Health Services; 2007. Landry MJ. MDMA: A review of epidemiologic data. J Psychoactive Drugs 2002;34(2):163-169. El-Mallakh RS, Abraham HD. MDMA (Ecstasy). Ann Clin Psychiatry 2007;19(1):45-52. White MC. How MDMA's pharmacology and pharmacokinetics drive desired effects and harms. J Clin Pharmacol 2014;54(3):245-252. Roiser JP, Sahakian BJ. Relationship between ecstasy use and depression: A study controlling for poly-drug use. Salzmann J, Marie-Claire C, Noble F. Acute and long-term effects of ecstasy. 2004;33(18 Suppl):24-32. Salomon RM, Cowan RL. Oscillatory serotonin function in depression. Synapse 2013;67(11):801-820. Guillot C. Is recreational ecstasy (MDMA) use associated with higher levels of depressive symptoms? J Psychoactive Drugs 2007;39(1):31-39. Thomasius R, Zapletalova P, Petersen K, Buchert R, Andresen B, Wartberg L, Nebeling B, Schmoldt A. Mood, cognition, and serotonin transporter availability in current and former ecstasy (MDMA) users: The longitudinal perspective. J Psychopharmacol 2006;20(2):211-225. Medina, K. L., & Shear, P. K. (2007). Anxiety, depression, and behavioral symptoms of executive dysfunction in ecstasy users: contributions of polydrug use.Drug and alcohol dependence, 87(2), 303-311.
de Win, M. M., Schilt, T., Reneman, L., Vervaeke, H., Jager, G., Dijkink, S., ... & van den Brink, W. (2006). Ecstasy use and self-reported depression, impulsivity, and sensation seeking: a prospective cohort study.Journal of Psychopharmacology, 20(2), 226-235. Guillot, C., & Greenway, D. (2006). Recreational ecstasy use and depression.Journal of Psychopharmacology,20(3), 411-416. Parrott, A. C., & Lasky, J. (1998). Ecstasy (MDMA) effects upon mood and cognition: before, during and after a Saturday night dance.Psychopharmacology,139(3), 261-268. MacInnes, N., Handley, S. L., & Harding, G. F. A. (2001). Former chronic methylenedioxymethamphetamine (MDMA or ecstasy) users report mild depressive symptoms.Journal of Psychopharmacology, 15(3), 181-186.